Customers who who own or are buying luxury automobiles or vintage classics , transport their vehicles via enclosed auto carriers. The best option especially when moving a vehicle which value is more than the average person can afford. These auto carriers provide added levels of security , as well as protection from natural and man-made elements. At Coastal Auto Shipping we work with the most trusted and reliable car shipping companies, which have years of experience. So , if opting for the Enclosed option know that your vehicle will be protected by enclosed truck from all elements. Which means from even the most simple things like Ultra Violet rays that can affect the paint of your vehicle. This would be very important to avoid if just spending money on a custom paint job. This is primarily one of the biggest reasons why customers go for an enclosed auto shipping service. Other natural elements like bad weather are also a factor you will not need to worry about. Picture a garage on wheels an effective way to move your car from any location to another without even dust getting into it. Dust which in some cases can get into the vehicle an be hard to clean. 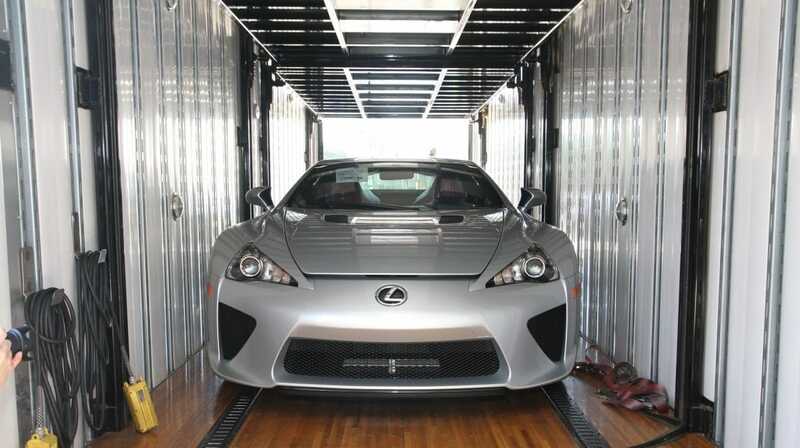 Not everyone wants others to see their exotic car , this service offers privacy the whole shipment. Without risk of anyone seeing and having the opportunity to cause damage. If wanting to transport your vehicle in a discreet manner , enclosed car hauling is the way to go. The best option when moving from the U.S to overseas locations like Hawaii, Australia , Germany or even South America. For additional questions to better understand Enclosed Auto Shipping call Coastal Auto Shipping today.